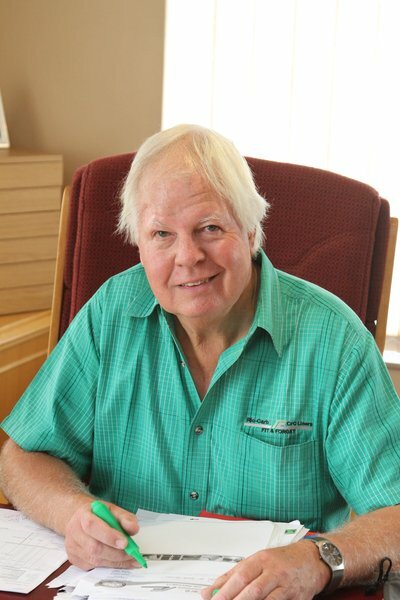 Founder and CEO Martin Maine has extensive experience in physical metallurgy, and has participated in several international conferences and seminars. Twice President of the South African Institute of Welding, he has been involved in prestigious local projects such as Sasol ll and lll, Koeberg, and Gariep Dam. 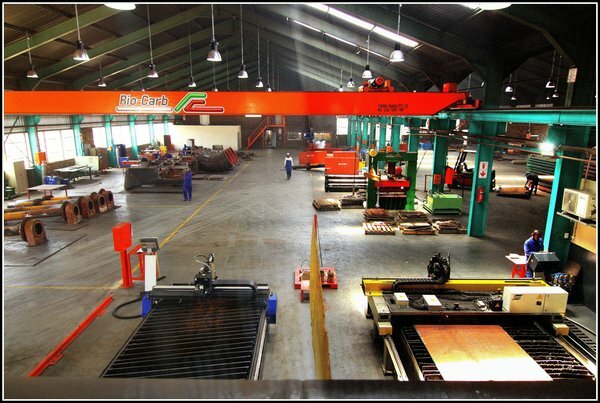 Maine also established AquaJet Profiles (Gauteng) in 2001, the largest water-jet cutting centre in Africa. After being in the Rio-Tinto (SA) stable for 13 years, there was a management buy-out by the then existing (and still current) shareholders. The company had been importing product from Australia up to that point. Maine quickly saw an opportunity for local manufacture, and established Rio-Carb in 1982. The company’s main products are RC-700 CrC liner plates, RC-700 CrC pipes, wear-resistant components manufactured from chromium carbide alloys, and manganese impact plates. It also refurbishes components such as chutes and hoppers. Maine reveals that the company has grown six-fold since it was established, with an exponential increase in its customer base. These include well-known local companies such as Angloplats, Anglo Coal, Anglo Gold Ashanti, Billiton Group, Columbus Stainless Steel, De Beers Group, ELB, Foskor, Afrisam Cement, Arcelor Mittal Steel, Ingwe Mining Group, Impala Platinum, Lafarge Cement, Lonmin Mining, Loesche (SA), Murray & Roberts, Namakwa Sands, Palabora Copper, Richards Bay Minerals, Rössing Uranium, Samancor, Sasol Group, Glencore, and Debswana, among others. Maine highlights that RC-700 CrC alloy-clad liner plates and pipes are used for heavy materials-handling applications in the mining, cement, energy and petroleum industries. “The main advantage here, which is a specific South African innovation, is that these plates have an eight-to-12 times longer wear life than traditional 400 and 500 material.” The term ‘RC-700’ itself was trademarked successfully in 2015. Rio-Carb has always invested in state-of-the-art manufacture, opening its new 4 000 m2 manufacturing facility in Alrode, Gauteng in 2014. The OEM acquired two high-precision plasma cutters in 2006 in order to be able to cut the liner plate to high accuracies, with clean surface finishes. A novel application of this equipment has been the plasma-engraving of part numbers and bend lines for jobbing contracts in mild and stainless steel. In addition, the company has two rolling/bending machines, stud welders, eight MIG welding machines, a 250 t hydraulic press, and water-jet cutting, zinc spraying, and sandblasting facilities. It continues to invest in state-of-the-art equipment, in addition to developing custom machinery. Rio-Carb also operates its own transportation fleet in order to guarantee on-time delivery for its customers. The latest feather in the cap for Rio-Carb has been achieving ISO 9001 accreditation in order to boost its manufacturing processes and to assure customers of the quality of its products. “Our products are highly specialised and not just off-the-shelf. We deal with many major customers in the mining industry, where such accreditation is mandatory. We are very proud of having achieved this quality assurance,” Maine comments. “We pride ourselves on the longstanding relationships we have forged with many of our key customers, in addition to the fact that we have a low staff turnover, with our technical personnel representing a considerable pool of industry experience and expertise,” Product Development Manager, Luis Garcia highlights. Looking to the future, Maine says that Rio-Carb will continue to develop new products in response to the changing needs of the African mining industry. “The global financial downturn and rout in commodity prices has meant a greater emphasis on refurbishing existing equipment. In this regard, we are looking at the future development of hi-tech alloys to enhance performance and increase longevity,” he concludes. Rio-Carb manufactures wear-resistant Chromium Carbide (CrC) clad liner plates for heavy materials-handling applications in the mining and allied resources industries. With more than 30 years of experience, the company’s long-life CrC liners have 8 to 10 times the wear life of industry-standard 400 and 500 BHN steel materials, which dramatically reduces operational costs as a result of less downtime and change-outs. Rio-Carb has a deep-rooted history in mining, and is able to swiftly respond to customers' needs in providing cost-effective solutions.